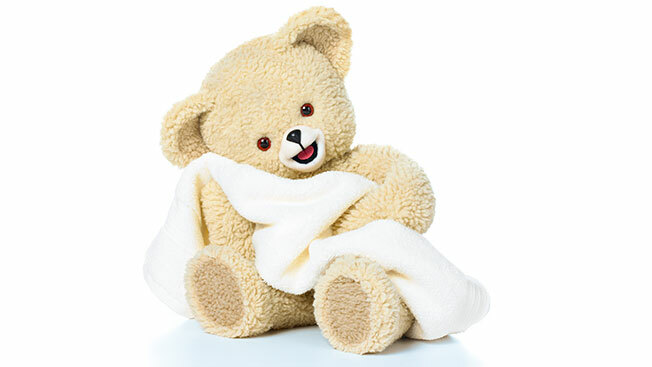 Snuggle aims to bring its long-time Snuggle Bear mascot into the digital age with the help of social media. The brand has launched a campaign on Facebook, Twitter, YouTube and Instagram that celebrates the bear’s 30th birthday. This is the second year that the Sun Products-owned brand has run a birthday campaign to coincide with National Teddy Bear month. To help orchestrate these social efforts, Snuggle has created an editorial calendar that maps out themed social content across all platforms for September. "We generally post across our social media platforms two to three times a week," said Kristine Campbell, Snuggle’s senior brand manager. "When you add up all the posts that we’re doing across all of the social and digital channels [for September], it’s probably one-and-a-half to double [the amount of content usually produced]." In particular, giveaway and user-generated content will be amped up during September. For example, Snuggle typically participates in Throwback Thursday, but will switch it up this month by posting pictures of its packaging and pop culture references over the years. One of these pieces of content will include photos from an episode of NBC’s Friends that featured Snuggle Bear. Additionally, user-generated content asking users to submit photos will be turned into social posts and e-cards. The fabric softener brand will also run its second Twitter party on Sept. 17, with participants counting toward a donation to Make-A-Wish. Snuggle will also donate a bear to each child with a Make-A-Wish wish in Connecticut, near its Wilton, Conn. headquarters. Interestingly, all of Snuggle’s social efforts this month are organic. The brand’s social content typically generates engagement rates greater than three percent and it rarely relies on paid social promos. "We have such a fantastic engagement rates with social media that we only very judiciously use paid media to amplify that and generally only when we’re supporting new items," Campbell said. The month-long campaign is part of a bigger revamp of the brand’s signature bear over the past five years. And, within the past year, Sun Products has hired a dedicated digital community manager responsible for spearheading the digital initiatives. The brand has set up its Facebook, Twitter, Instagram and YouTube platforms to post content from Snuggle Bear’s perspective. Digital calendars drive the social calendars around branded and themed content on these platforms.